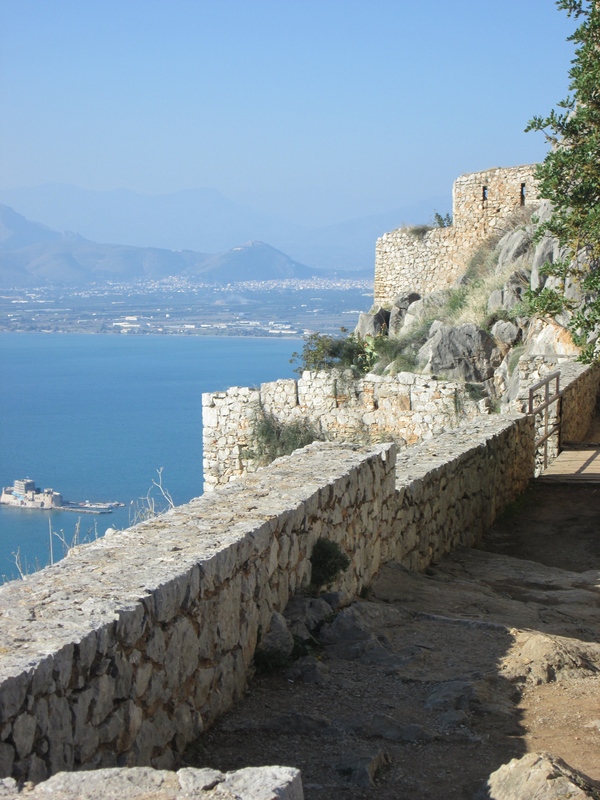 If you have the time to explore further than Athens, consider renting a car and driving south to the Peloponnesian peninsula: the pretty little town of Nafplio is just 2 hours drive on good roads. We rented a car at the Athens airport: from there you get directly onto a freeway to bypass the traffic in Athens itself, and then head south to the peninsula. Alternatively, you can get day trips on buses from Athens to visit the sites on the peninsula. In Nafplio itself there are many nice places to stay, good restaurants, museums, nice beaches, and all the usual tourist offerings. 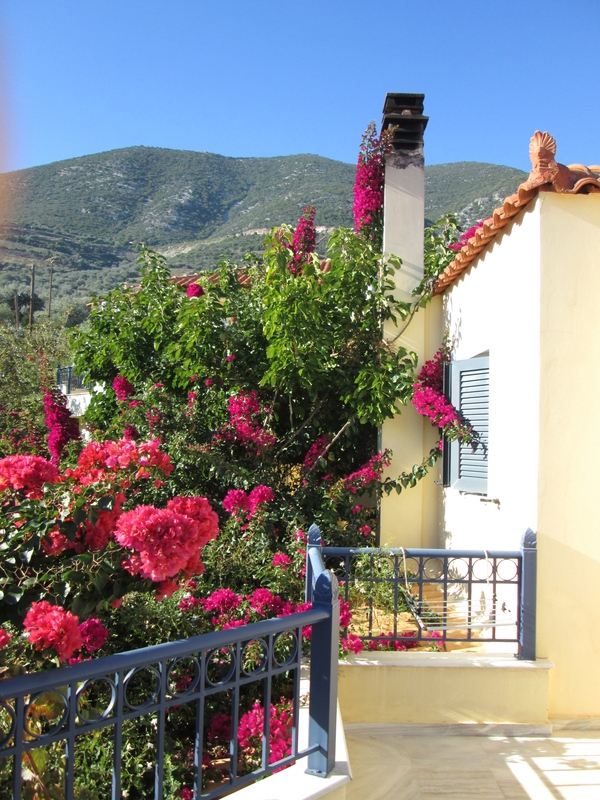 The surrounding countryside is beautiful with olive and orange tree groves and small towns to explore. The Greek Orthodox churches are lovely, and often open during the day so that you can enter and admire the lovely art inside. The Palamidi in Nafplio is a must-see. Perched high above the town and the sea, this gigantic fortress was built by the Venetians in the 1700: awesome to explore, enjoy the views, and marvel at the work involved in building something of this scale on top of this steep seaside cliff. 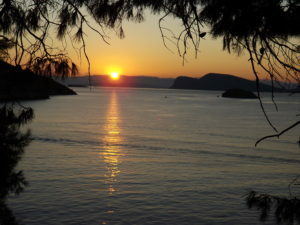 Visit http://www.nafplio.gr for more details. Nearby are two large archeological sites that we definitely recommend. 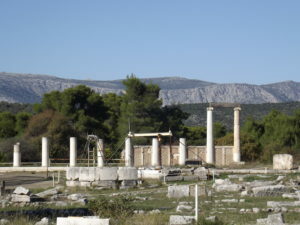 Ancient Epidaurus is the site of a town and sacred healing complex dedicated to the god Asclepius and dating from the 4th century BC: see details at http://whc.unesco.org/en/list/491. 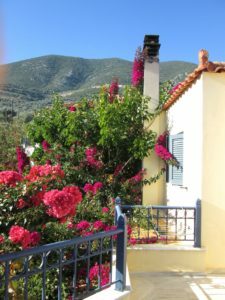 If you want to stay near Epidaurus, we highly recommend Villa Angelica in the small town of Epidaurus: beautiful rooms with sea view balconies and only a short stroll down to a nice beach. The breakfast on the patio is amazing! Ancient Mycenae is the other large site we visited: a hilltop fort inhabited since Neolithic times, the large walls seen today were built in 1350 BC by the Mycenaeans who at that time dominated much of the eastern Mediterranean. The scale of building is incredible, and the huge tombs, called tholos, are incredible to see. The museum at Mycenae is quite good: but closed on Mondays, like many things in Greece. More information can be found at http://odysseus.culture.gr/h/3/eh355.jsp?obj_id=2573: check the long list of discount admissions available: you may be able to save some money! For a taste of the Greek isles without the long trip to the more commonly visited Santorini and Mykonos, consider continuing south on the peninsula to the island of Hydra. You can drive to the port at Methochi (and park your car securely for 5 Euros/day) and take a short 30 minute ferry ride to the car-free island. 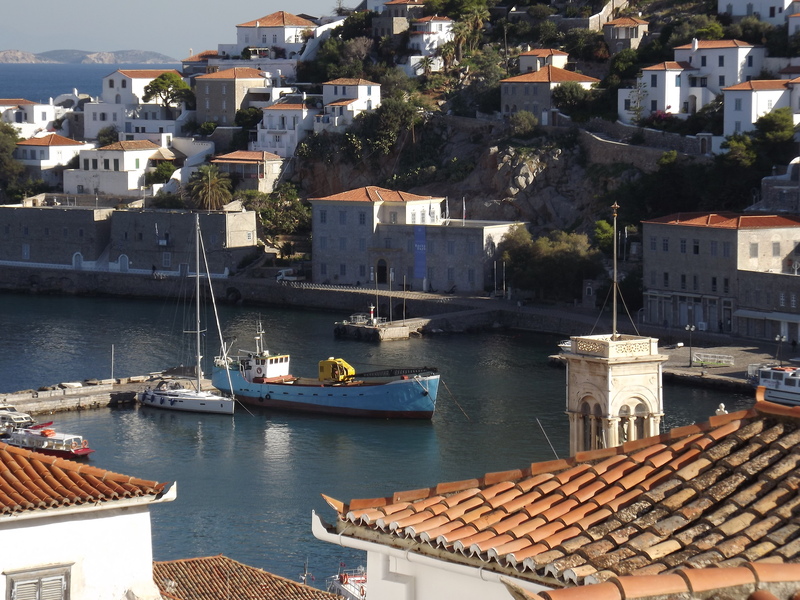 On arrival in the picturesque tiny port at Hydra, you will be greeted by men with donkeys and horses who will transport your luggage to your hotel for about 10 Euros (depending on the distance). Since everything in town is uphill from the port on bumpy, cobbled streets, it may be a worthwhile investment! Enjoy a couple days to relax, swim in the clear blue sea, and stroll the network of foot paths around the island: the fresh seafood is abundant, the people are friendly, and the views are amazing. Horseback rides are available to reach the higher hilltop monasteries and enjoy the views. Details at http://www.visitgreece.gr/en/greek_islands/hydra.